I have my own stash of sage from last March when I sampled some of Barbara Napier‘s whipped cream biscuits and sage gravy at a cooking demo at the Arts Council’s Kentucky Crafted: The Market, but what with life and a hard 2012, I didn’t do much with it. I made one or two pans of the sublime vegetarian sage gravy, but mostly had too much cluttering up my memory to incorporate it – or anything new – into my menus. 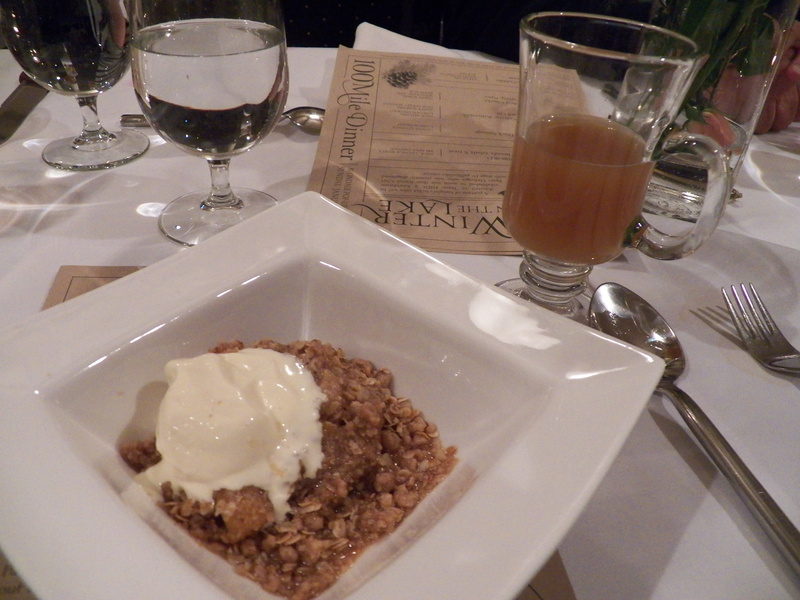 Sunday night, in Avondale at the 100 Mile Dinner, however, sage came up again in Layne Lee‘s Butternut Squash Cobbler with Sage Ice Cream. I’d been really curious since reading the menu about how sage ice cream would taste. One word – OMG! It was creamy and mild, a perfect accompaniment to the Butternut Squash Cobbler. Layne Lee’s Sweet N Sinful Bakery staff outdid themselves. FIve Stars. Monday on the way home from Avondale – we spend the night because each course of the 100 Mile Dinners is paired with spirits – we stopped in at the DeKalb Farmers Market. Bill Ronay found some Derby Sage cheese. Sampling it at supper, I vowed to pay more attention to sage. Awesome herb. Glad it is back in my life! This entry was posted in gourmet food products and tagged 100 mile dinner, avondale, barbara napier, butternut squash cobbler, kentucky crafted: the market, layne lee, sage by camilleronay. Bookmark the permalink.